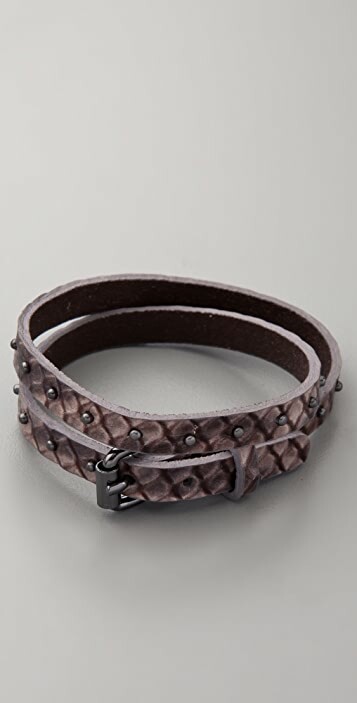 This snake-embossed leather wrap bracelet features tiny studs and a buckle closure. Adjustable. * 13"-14" (33-35.5 cm) long. 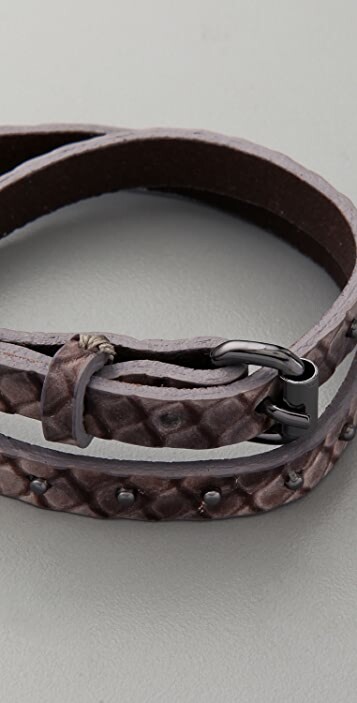 * 1/4" (7 mm) wide. 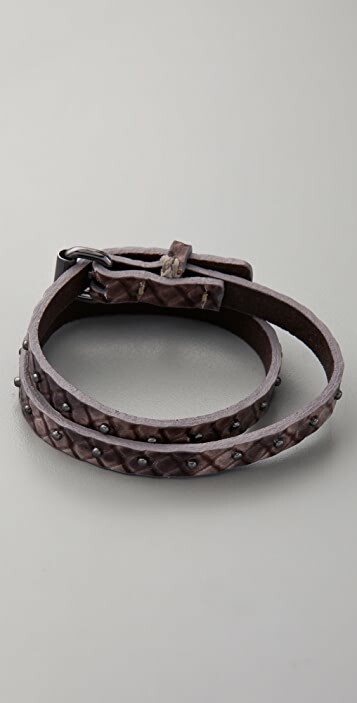 It's a cute little bracelet but nothing too special.